This post is the fourth in a series that will be for a graduate course called Theory and Audience Analysis. For the course, I will be posting weekly questions and follow-up analysis about the various readings we are assigned. 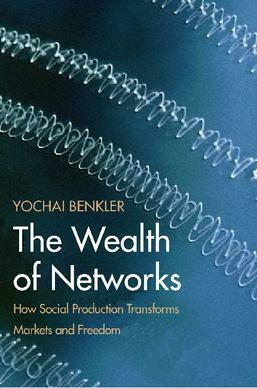 This post ponders the initial readings of “Wealth of Networks” by Yochai Benkler. This book covers a pretty heady topic in its discussion of the economy of networked information technology. With open-source, easily accessible information, and the declining cost of publishing and distributing software and information, the Internet is so in opposition to how we commonly think of our commercial economy. Benkler talks a lot about these core differences between the industrial and informational economies. However, I can’t help wonder if we aren’t currently in the midst of a backlash to this thought process. While free open-source software is still at the foundation of our daily networked information technology, there is an increasingly prevalent [and booming] economy rising around applications for the web, mobile phones and tablet technology. In this article, Facebook Apps Ecosystem Gives Economy $15.7B Boost, it discusses statistics from a study just released today. The study found that App developers for Facebook have created 235,644 jobs and contributed $15.7 billion to the economy. This is just Facebook, a social network that has been around for only 7 years. When you factor in all of the other application development that is prospering at this time, it almost seems that the economy of networked information technology is performing better than our current everyday economy, which has been in a serious recession since 2007. “Wealth of Networks” was published in 2006, has the economic development of networked information technologies already changed drastically in that amount of time? « End of Flash as we know it?